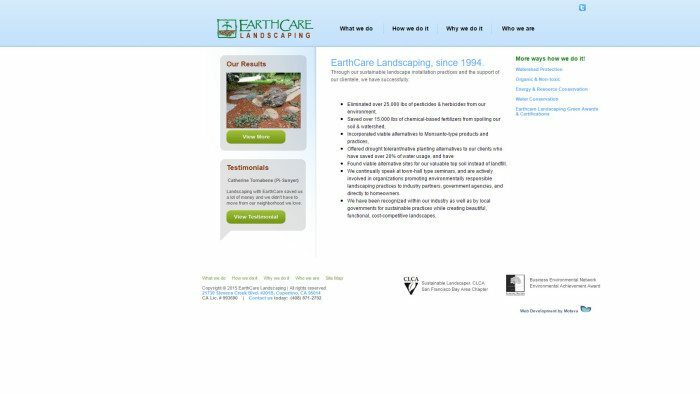 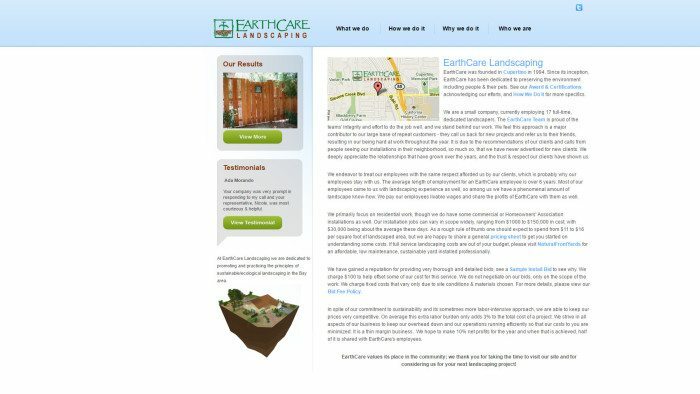 EarthCare Landscaping is a unique landscaper, focusing on sustainable and green landscaping practices and products. 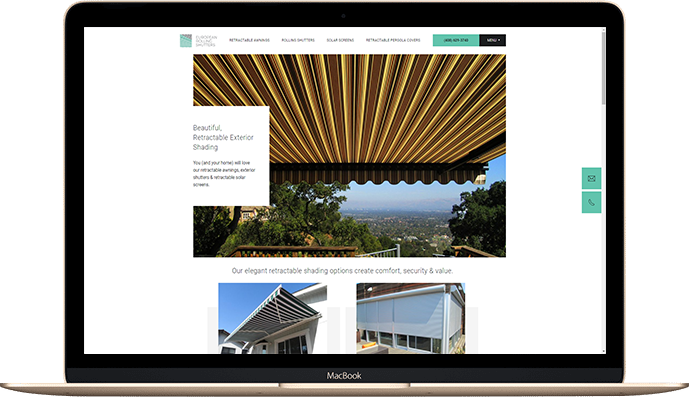 With their line of attractive and colorful pervious concretes, also known as PrettyPerviousTM, they have an extremely differentiated offering to their clients and partners. 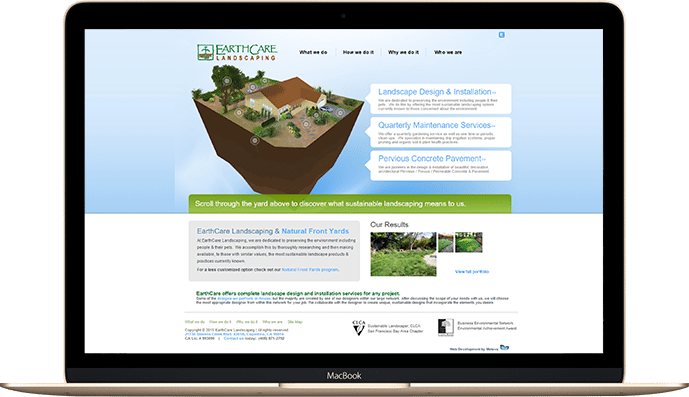 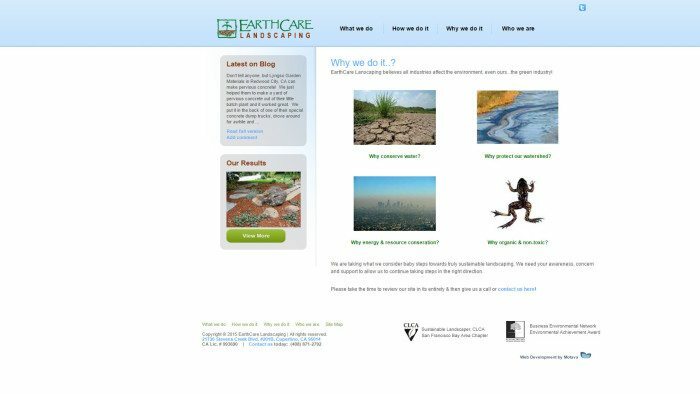 The site was designed to focus on EarthCare’s landscaping services, news in the sustainable landscaping industry and this special line of pervious concrete. 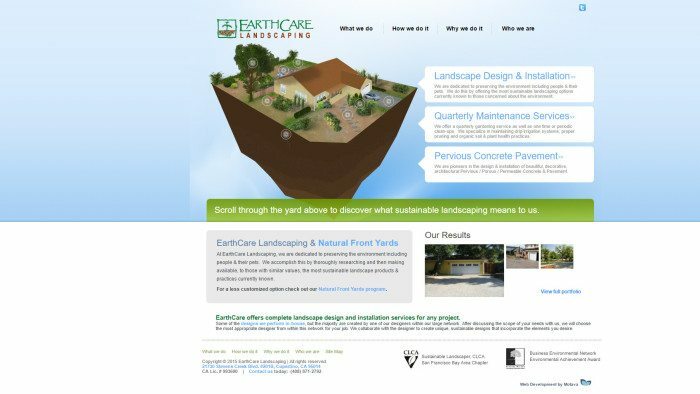 Motava achieved these results through a specially created, interactive 3-D model of a yard and the green techniques used by EarthCare in achieving the balance of beauty and sustainability you can expect from their services. 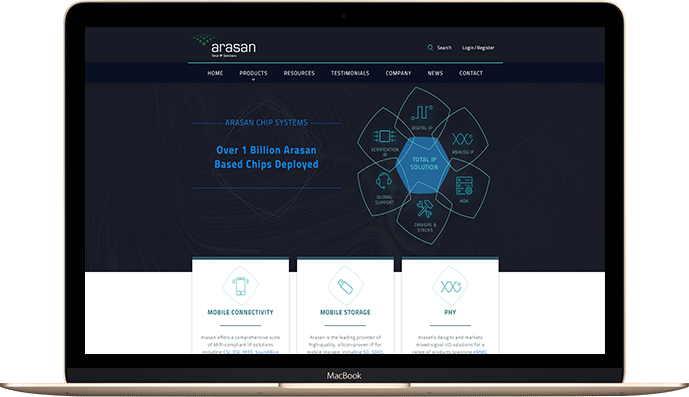 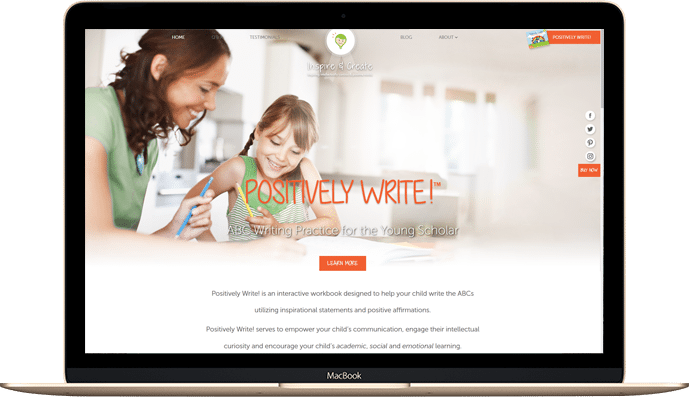 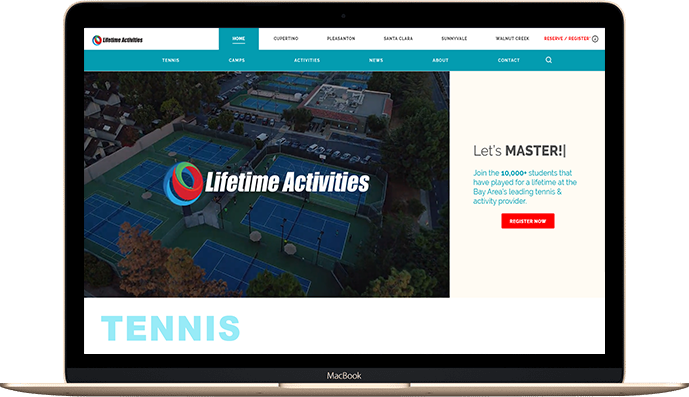 Blogging through WordPress allows them to keep their clients and others updated on new products and industry developments. 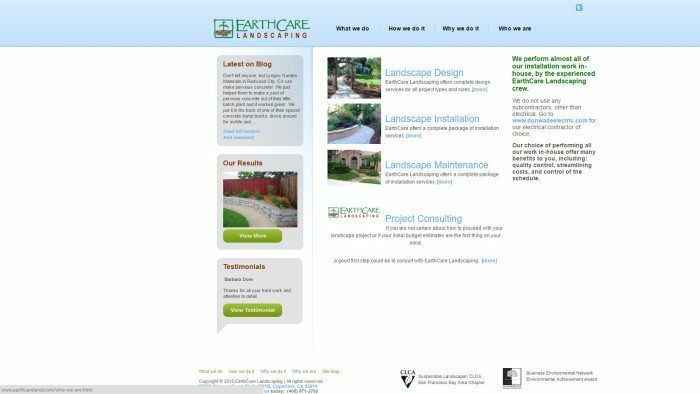 Meanwhile, a completely flexible section on pervious concrete, displaying the patterns offered and expertise on the subject is focused on in a separate, custom section.